All the beauty experts say women need to get serious about anti-aging skin care when they roll over the big 3-0. Suddenly cleansing and a swipe of SPF aren’t enough; apparently we need an arsenal of products to “preserve” our faces and fight the [irreversible?] damage we inflicted upon ourselves in our youth. I’m lookin’ at you, tanning beds; should’ve listened to my grandmother. With this in mind, I found myself in Ulta two months ago on a mission. I wandered around the skin care section for a good 30 minutes, politely declining the sales associates’ offers for assistance, determined to find a suitable “grown-up” regimen for a new decade. Here’s what: I think the best skin comes from keeping things simple. Go easy on the makeup; take it all off at the end of every day; exfoliate often; moisturize more than you think you need to; and be generous with the SPF. Some vitamin C, antioxidants, and collagen-boosting peptides can’t hurt, either. My mother, who has beautiful skin with nary a wrinkle — genetics, be kind to me — has probably tried every skin care product available to [wo]man, and she recommended that I use Philosophy. I always associated them with delicious-smelling body washes and delicate perfumes, but they know what they’re doing with skin care. I bought the Philosophy ‘Radiant & Refined’ kit and The Microdelivery Exfoliating Wash on that Ulta trip, and now they’re staples in my every day routine. 2.) 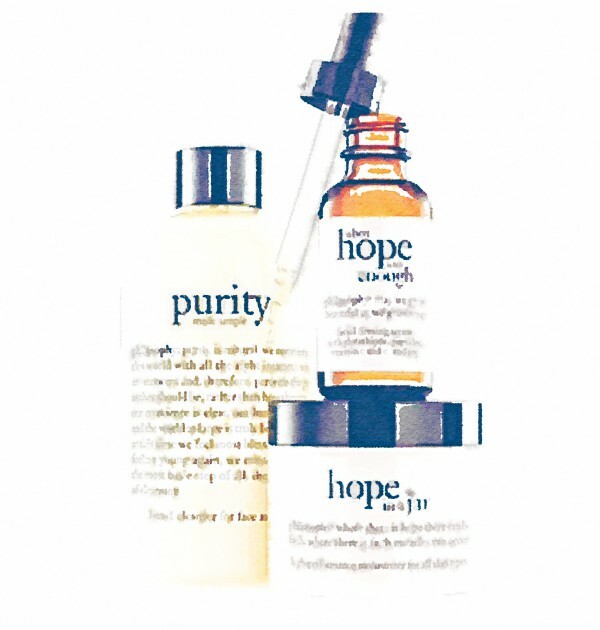 Follow up with When Hope is Not Enough Firming and Lifting Serum. 3.) Apply Bare Minerals Complexion Rescue to entire face and neck for color correction, sun protection, and all-day hydration. It’s like three products in one! 4.) Lather up any exposed skin — chest, arms, hands — with La Roche-Posay Anthelios 60 Melt-In Sunscreen Milk. I recently bought a tube to keep in my tote bag for reapplication when I’m out running flower deliveries. 1.) Cleanse skin with Philosophy Purity One-Step Cleanser or Kari Gran cleansing oil. Both are excellent makeup removers, and make quick work of eye makeup. 3.) Moisturize with Philosophy Hope In a Jar. 4.) Apply Kari Gran lip whip to lips for overnight hydration. 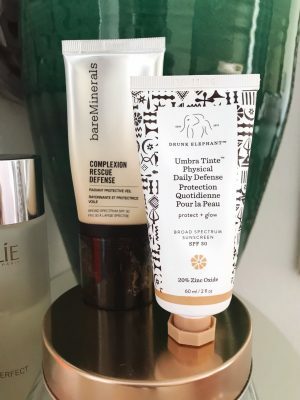 Once a week, I use Simone France’s Complexion Perfection Mask to deep clean my pores, and every now and then I use my Clarisonic Mia with the Purity cleanser for extra exfoliation. Oh, and I’m working on drinking a lot more water and balancing my diet because really beautiful skin comes from the inside out. I’m about two months into my new “30 year old” routine, and here’s what I’ve noticed: my skin is really soft and balanced (not too dry, not too greasy); my skin tone is even with minimal redness; and my occasional breakouts heal pretty quickly. All good! Oh, yes — Philosophy really is the best! <3 Great post! I am almost 65 years old. Looking for something to help with wrinkles in my neck and fine lines in my face. Will thesr products helo? I just thank God that I’m a Man, I don’t have to look pretty, thankfully! purity is my favorite! been using it since i could remember. can’t wait to try these other products! I dare you to try out Perfectly Posh’s product line! 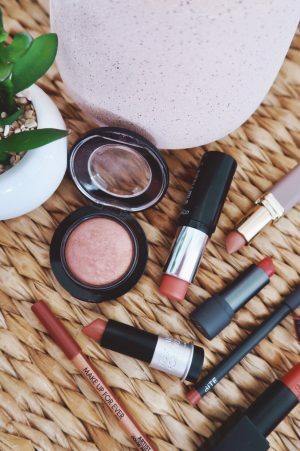 We have a ton of affordable, cruelty-free, naturally-based options that will knock your socks off. Thanks for the post! My skin took a double dose of aging after turning 30 and having a baby at the same time. I’ve noticed way more fine lines and dryness, especially around my eyes. I’ll have to check out the Philosophy line. Now I really want that Philosophy kit! I’m 31 and find that simple is best for me. I need a lot more moisture so I use a very simple moisturiser recommended by the pharmacist/chemist. Have you heard of the hope in a jar dupe? St Ives has a time rewind cream that’s only $5 and comes pretty darn close! I’ve heard so many rave reviews about hope in a jar, I still can’t bring myself to fork up the cash. I will however, continue sample it each and every time I pass through Sephora. I’d love for you to share post at my weekly link up on Tuesdays! Have you tried the St. Ives cream? Great post! I’m just reaching the big 3 – 0, but I’ve taken skincare seriously since high school. My mother always said, start early and look great later. Most people think I’m a good 10 years younger than what I really am. I totally vouch for the importance of early skincare measures. Though, within the past few years I’ve taken to creating my own natural products used in unison with store bought favorites for my skincare routine. However, after reading this, I have to admit I’m interested in trying the Firming and Lifting Serum. I’m in my late 20s and thought that all my skin care problems would have gone away by now, but I feel like my skin is just as finicky now as it was in my teens. I’m still finding out what works for me (the Kari Gran regimen has done wonders) and what I need in terms of anti-aging care. 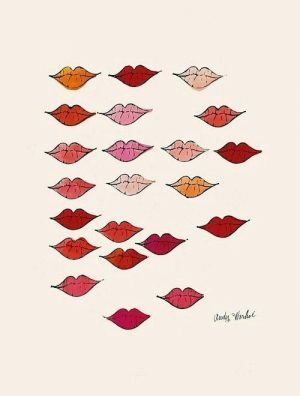 I’ve found so many great product from your beauty posts – keep ’em coming! I’m nearing my 30s and am in the process of figuring out a new skin care regime. Thanks for the post! It’s funny how noticeable it was that my skin needed extra “maintenance” as soon as I turned 30, to continue feeling as healthy as it did in my 20s and when I was younger. Personally I’ve had to get way more serious with my moisturizer and night creams! Great post! I love Philosophy skin care. The serum is pricey but my skin would never be the same. Still going to use it until I get an economical equivalent. I would use Hope in a Jar more but it makes my face feel greasy so I only get travel sizes for just the winter. Sometimes just using the serum keeps my skin looking radiant. I think Purity is such a good brand in general for all ages. I am really glad that you found these products worked well at your age! Now I know what I can use when I get to be 30 (hopefully these will work when I am 50).